Welcome to April’s Technique Blog hop! Today you should have arrived from Catherine’s blog, however, if you started here, that’s ok, as it is a big circle, so you will loop back around to her! This month we are focusing on cards . . . PML cards, that is! What’s a PML card? Well, first it stands for Picture My Life. These are cards that are 3×4 and 4×6. All of the themed paper packs (found in the little books) have 2 sheets of them. You can also get them as stand along products that generally coordinate with at least one of the themed papers, color wise. This layout uses one of the PML cards traditionally and one in a different way. Can you see how? I did the same thing with this card. I used the fun dots PML card (which is a 4×6 card) as a paper ‘strip’ on this layout. This pic shows just the bottom corner, but if you look again at the full layout, you can see that it is repeated at the top, and it looks like it is a full piece from top to bottom. However, it really is just two smaller pieces! 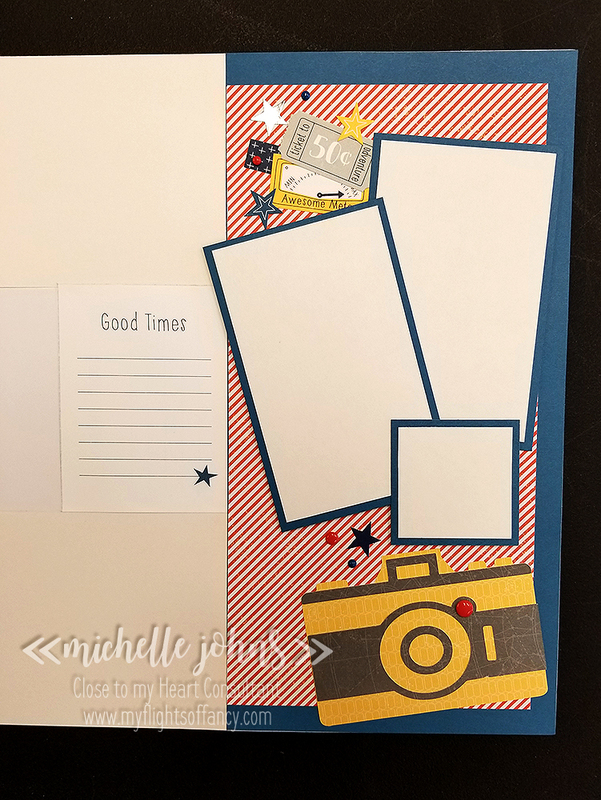 On the right page, you can see that there is a 3×4 PML card that is ready for journaling to be added! I really like how this page turned out! It is just one of 6 layouts that are part of my Stargazer WYW Plus kit! 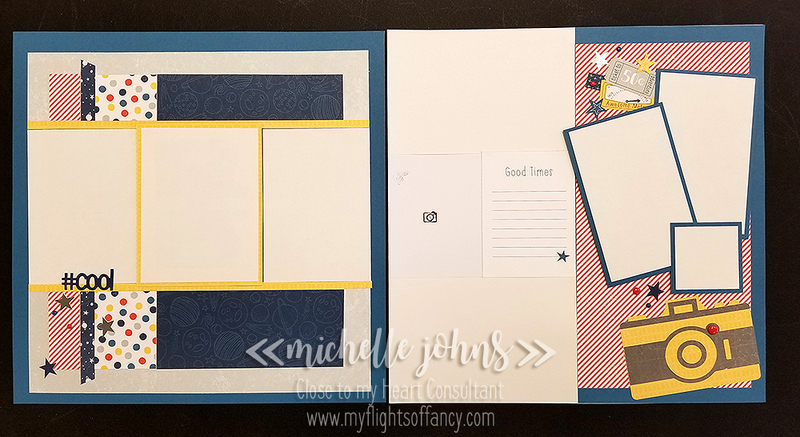 It starts with the WYW kit and I add 3 layouts to it, with just adding a few sheets of cardstock! Let me know if you want a set, and I will gladly get them to you! I hope you liked my layout! You know, this paper is going away at the end of the month (if it lasts that long!) You will want to make sure to get yours before its’ gone!! Thanks for stopping by! I would love if you left me a little note to let me know what you thought about my layout! Did you know that I have a FB group so that we can share our creations with each other? I would love to have you join! Just click here to join! Now it’s time for you to hop on over to Katy’s blog! Have a great day! Great layout! Love how you used the PML cards. Awesome layout! love everything about it! This is a great layout!!! Great job! Those are my favorite colors! AMAZING – every element! 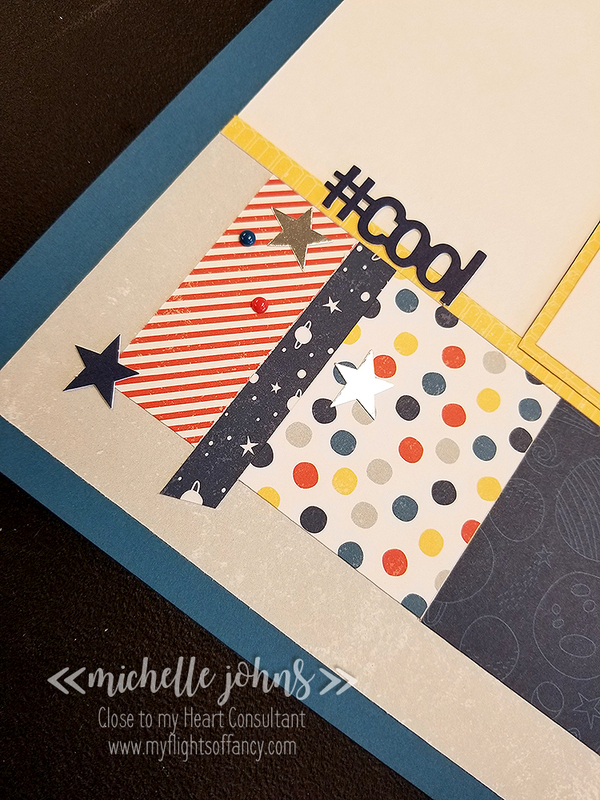 Love the use of the polka dot card to make it look like a strip of paper! Ingenious! Oh, Michelle…LOVE it…and I love seeing layouts!